Since I’m busy tasting many bourbons these days, I’ve got some leftovers that may not make a great cocktail but would work great for a sauce. I had Maker’s Mark sitting around, so I came up with this sauce to use it up! 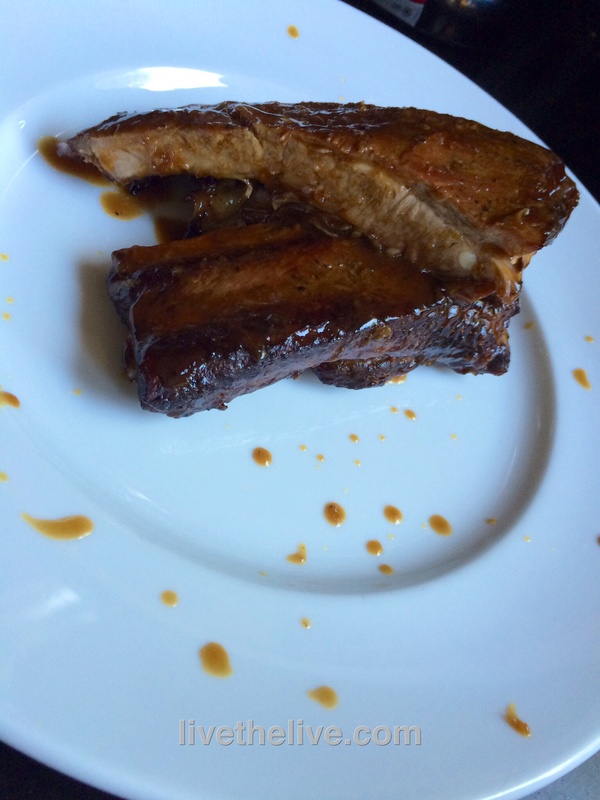 Season the ribs well with salt and pepper and cook in a smoker for 3 hours at 25o degrees, using hickory chips. While ribs are smoking, combine sauce ingredients in a sauce pan, bring to a boil, then lower to medium heat and reduce the sauce by half until it thickens. Stir often, and don’t let the honey foam up and spill over the top. Pre-heat oven at 250 degrees. 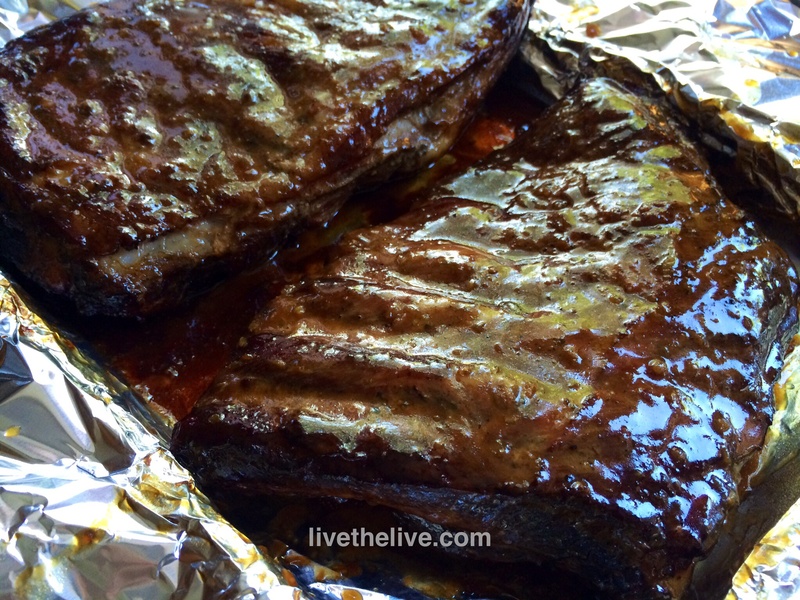 Remove ribs from the smoker and place in a sheet pan that is lined with aluminum foil, with enough foil to wrap around the ribs. Brush the ribs on all sides with the sauce, stacking no more than 2 sets of ribs on top of each other, and then wrap with foil. Cook in the foil for 2 more hours, until tender. I’LL HAVE WHAT JAMES BOND IS HAVING.